HARLINGEN — Every fall, the slow, yet steady march to restore native habitat in the Rio Grande Valley begins anew. 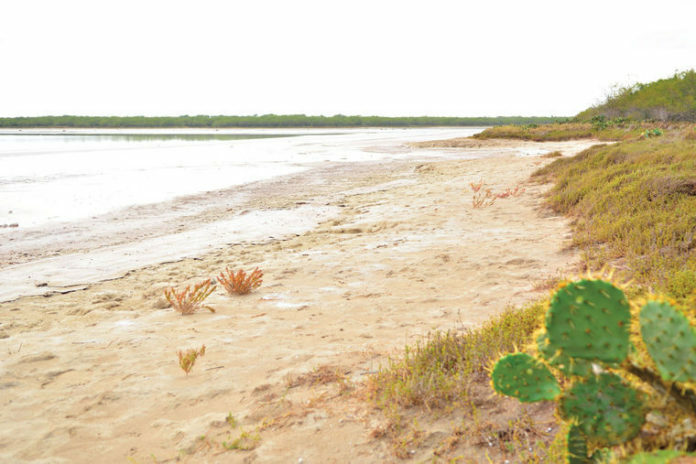 The annual plantings of native trees, shrubs and herbaceous plants begin this year at La Sal del Rey, a federal wildlife area in Hidalgo County best known for its salt pans. Sponsoring the volunteer effort is the Valley Proud Environmental Council, Friends of the Wildlife Corridor and the U.S. Fish and Wildlife Service. The collaborative effort is known as Rio Reforestation, and this year a 17-acre plot of land will be sown by volunteers with 10,200 trees and plants consisting of 32 species at the refuge site. The Rio Grande Valley looked far different a century ago than it does now. Prior to the Valley’s agricultural revolution that arrived with electricity, pumps and irrigation, practically the entire Valley was covered in dense Tamaulipan thorn scrub. “Ninety percent of the native plants have been removed or destroyed due to over-development,” said JJ Platas, vice-chair of the Valley Proud board. The overall goal of the planting project is to, as much as possible, restore habitat to create corridors between the national wildlife refuges in the Valley — Laguna Atascosa, Santa Ana and the Lower Rio Grande Valley. Together, they comprise 180,000 acres of habitat for native flora and fauna. Kim Wahl, a plant biologist with the U.S. Fish and Wildlife Service, is coordinating what species will be planted. Wahl played a lead role in this year’s habitat restoration efforts on 34 acres at Laguna Atascosa National Wildlife Refuge, which employed for the first time in the region plastic tree tubes to protect seedlings. The planting at La Sal del Rey will be old-school, Wahl said, without the tree tubes. “The reason why we’re not using the tree protectors is we don’t have funds to put tree protectors on all of our plants,” Wahl said. Those tree protectors will be re-tasked to another habitat restoration planting on Laguna Atascosa sometime in the future, she said. Wahl said more than 30 species of plants will be planted on the La Sal del Rey site, including trees, shrubs and herbaceous species. “We have some of our very common species like the ebony tree that will be going out into the site,” she said. “I know off-hand one of the more unique species that we will be planting there that we don’t usually plant at our other sites will be babybonnet,” she added. Volunteers are needed, event organizers say, and they can show up at 8 a.m. to work for four hours until the planting is finished on Oct. 14. If a large group of volunteers is ready to head for the site, Valley Proud’s Maxwell urges them to contact her organization before planting day to coordinate. A rain date has been set for Oct. 28. Maxwell said there is more at stake with habitat restoration in the Rio Grande Valley than simply clawing back some of the old South Texas. She says there are economic incentives for communities in the Valley as well. “With the wildlife corridor, we also have eco-tourism here, and it’s important to continue to attract birds and butterflies, and provide for other wildlife and the ocelots,” she said. “We attract a lot of people from all over the world to our area,” Maxwell added.